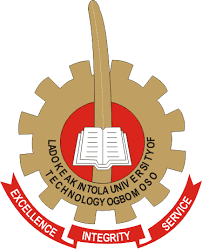 Union of Universities LAUTECH chapter , in the the early hours of today , the union have decided to join the national body on the nationwide strike which is set to be indefinite . Dr Biodun Olaniran , the chairman of ASUU , LAUTECH made it clear that the strike is an order from the national body which ASUU LAUTECH is under her umbrella and a fight for the underfunding of public owned universities , including LAUTECH. Therefore , all academic activities have been suspended till further notice.